NSA member Aakash Ranabhat offering a gift to Pam Vargas, director of the office of research and sponsored programs. 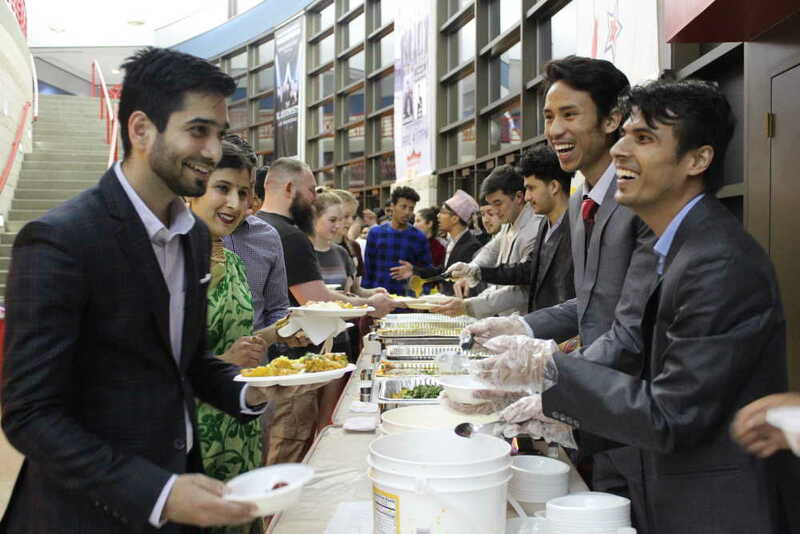 The Nepalese Student Association shared a portion of its Asian culture with Southeast’s community April 6 in the Knox room of the Show Me Center. 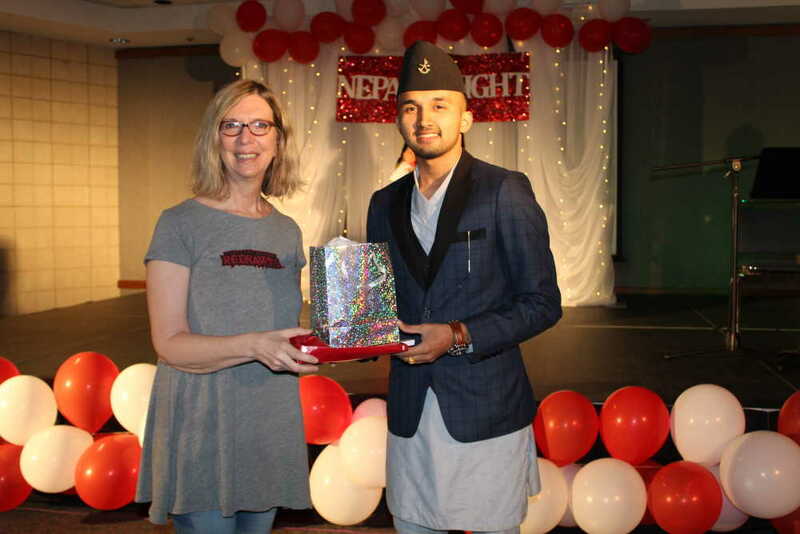 Nepal Night has been around for a decade — the first one, back in 2009 being unofficial, NSA president Raj Parsai explained. It gained official status in 2010 after the association registered with Campus Life and Events Services. Freshman NSA member Aakash Ranabhat opened up with a few words that were followed by paying respect to the Nepali national anthem. Durga Poudel and Arya Silwal, Wife and daughter of NSA advisor Sajan Silwal. Durga Poudel, the wife of NSA advisor Sajan Silwal, said the "sloka" on stage to honor one of their religious rituals with a prayer to Lord Ganesha, the God of good fortune. After a swift round of quiz questions, computer science graduate student Raghav Sharma performed a few songs on acoustic guitar. To emphasize the artistic changes the country has been through, a few members of NSA performed two types of dance routines, one traditional and the other modern. Some 240 people in attendance cheered and applauded louder for the modern routines. NSA members serving Nepali dishes to attendees. 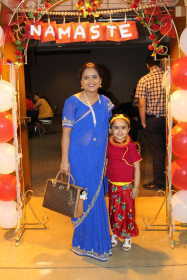 One thing accentuated throughout the event was the Nepali attire and its diversity within the country’s regions. Sharma, right after his performance, talked about his outfit, and its significance the Dhaka Topi, and Daura Suruwal — the latter being the men’s national outfit of Nepal. Following the footsteps of every cultural event, the culinary lineup had Nepalese authentic dishes: rice, Chicken Vindaloo, Mutter Paneer, Aalo Gobi, yogurt (Dahi) and Gulab Jamun/Lal Mohan.